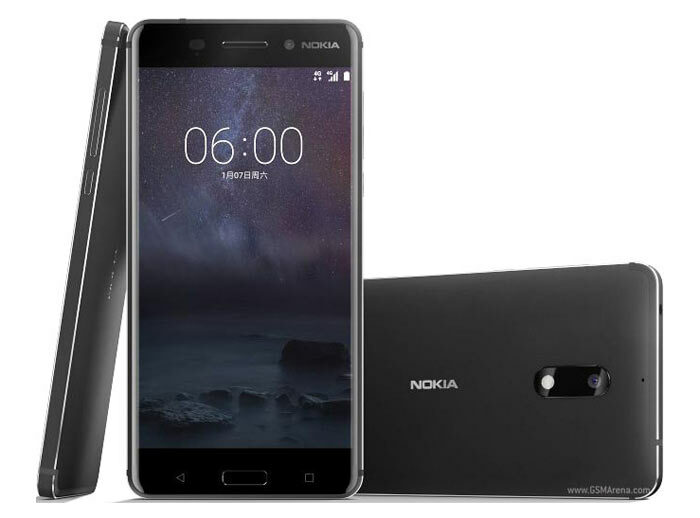 Nokia smartphones started to appear again at the recent CES 2017 but weren't really worthy of coverage in that busy week, with the Nokia 6 mid-range device announced as a China exclusive. (Incidentally the Nokia 6 sold out within one minute of order availability in China.) However there are other Nokia devices on the way from HMD Global and some of these are expected to be worldwide releases. Today we have news of two such Nokia devices; a very large tablet, and a flagship Android smartphone. The source of this Nokia tablet rumour is a result on benchmarking site GFXBench (via NokaiPowerUser). The tabulated specs collected by the benchmark program reveal a rather large tablet (18.4-inch) with a 1440p screen and powered by a powerful new Qualcomm Snapdragon 835 processor. Other specs such as RAM, storage, and equipped cameras indicate that this will be a premium device. You can see above that the tested tablet runs Android 7, but we know that Snapdragon 835 devices will be among the first to run Windows 10 as part of the 'Cellular PC' platform. In another Nokia titbit today, again from NPU, the official Nokia China Weibo account apparently confirmed two important things. Firstly a Nokia flagship smartphone is on its way, packing a Qualcomm Snapdragon 835 processor. We might see this premium smartphone at MWC next month but such Snapdragon devices aren't due to hit the market so early in the touted H1 timeframe. Another interesting nugget is that Nokia might be working on devices which can run Windows 10. NPU says that upcoming Windows 10 Nokia devices aren't likely to arrive in 2017 as HMD hasn't pencilled them into its roadmaps. It will be interesting if they made a couple of windows devices again. The only reason to go with nokia after they where left behind in smartphone wars, was that they had windows OS. I don't see why someone who buy android devices from other manufactures will switch to nokia. On the other hand the windows OS landscape have more space for a company to enter and make business and given that MS is not abandoning the OS (which I find much better than android) and this year go full on with a surface phone, maybe nokia should reconsider to have at least a couple of devices with windows. I could personally consider a nokia with windows, because aside the microsoft devices the others in the market are not really great (and MS doesn't have a real flagship either). At least they're honest with the specs (3.6GiB memory, 52 GiB storage after formatting and OS I imagine). Edit: As opposed to 4GiB & 64GiB I mean. I'd be more interested if it had an NV Pascal based gpu (also 10nm soc hopefully hitting in something soon) and 1920x1200 since my 24 looks fine with this and the tablet won't be that much closer. If my desktop has trouble running this res, I have about as much chance of great looking gaming (running fast that is) on it as my dads nexus 10 @1920x1200. Too slow. Also, have no need for an 18in tablet to leave the house, so no point in 4G for me. It would always be on wifi and likely in a stand. The 10in has never left the house either (spends half the time in a stand half out, but always on our network). At least storage and ram is going up now. Since shieldtv had nothing new, it should have had this for mem/storage at least for the low model. I, personally, would love to see a large tablet that was modular, ie, you could use it with your continuum phone. I like my LG phone, but if there was a surface phone with 18“ tablet I could run it off of, I'd drop the phone in a heartbeat. At 18”, I'd definitely want more than 1920X1200. This would be great for hanging out with friends and sharing things, and not having to carry a laptop and tablet and phone to get all that functionality would be sweet.